ATrack Technology Inc (TPEX：6465, ATrack), a company focused on providing telematics and Internet of Things (IoT) related solutions to monitor important mobile and fixed assets, is pleased to announce that it has received final approval from Taipei Exchange (TPEX) to graduate to the TPEX General Stock Board Listed. ATrack’s common share is traded under the symbol “6465” on the TPEX commencing market since Nov 20, 2015. 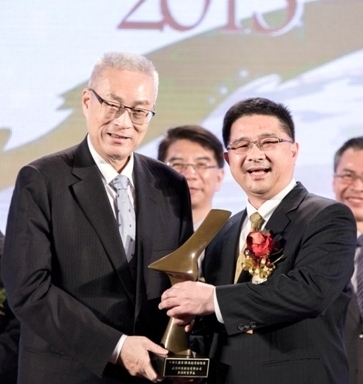 We are also happy to announce that Atrack's Founder and CEO Frank Tang has been awarded with the 2015 Model of Taiwan Entrepreneurs in recognition of his outstanding achievements in the field of entrepreneurship over the past years. The certification is awarded by the committee for the Selection of 2015 Model of Taiwan and Overseas Entrepreneurs. Frank is one of the only 11 individuals who won the award. Since the day ATrack was founded, Frank continues to emphasize the importance of entrepreneurship and shares his business philosophy to all of team. Entrepreneurship spirit is deeply rooted inside ATrack’s corporate culture.